Our after-school youth programs are designed to give young climbers between the ages of 6–17 a chance to learn and improve climbing skills. A cool way to connect with other young climbers while staying fit! Enrollment is on a monthly basis. Classes fill up quickly so be sure to sign your child up in advance. The season runs from the first full week of Portland Public Schools opening, to the first week of PPS Summer break. For summer climbing opportunities, see our Climbing Camps. For the more dedicated young climber who wants to make climbing their primary sport, be sure to check out the Portland Rock Gym Climbing Team. 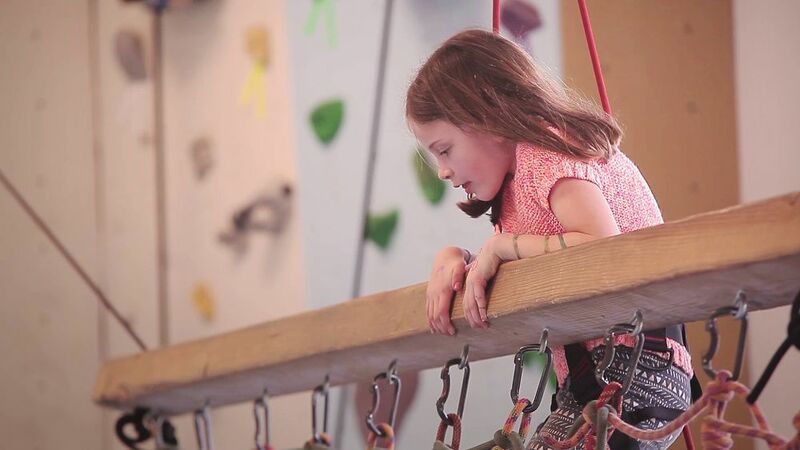 This once or twice a week program designed for little rockers who just love to climb. The kids are taught beginner to intermediate top-roping and bouldering skills in a fun and encouraging environment. Enrollment is monthly and limited to 12 participants/month. Please select either Tuesday or Thursday when signing up. To sign up for both days, please register for each day individually. Prices assume 4 sessions per month and are adjusted accordingly. Please select either Monday, Wednesday, or Friday when signing up. To sign up for multiple days, please register for each day individually. Prices assume 4 sessions per month and are adjusted accordingly. This twice a week program is designed to expand young climbers' skills and techniques. It is an on-going training program that tracks climber growth from month to month and teaches a lot of awesome skills over time. As climbers learn new skills and becoming a stronger climbers, they earn points toward advancement and some cool prizes. Perfect for beginner to intermediate climbers. Among other skills, participants will learn how to belay and teens 14 years of age and older will be able to belay on their own outside of the Teen Club. Choose either Mondays and Wednesdays or Tuesdays and Thursdays. Includes a membership to Portland Rock Gym for the duration of the program! When: 5:30-7:00PM, Monday & Wednesday, or Tuesday & Thursday. Prices assume 8 sessions per month and are adjusted accordingly. All of our Club programs include a membership for the month your child is signed up for. Parents can add their own membership for $35 for the duration of the Club month.